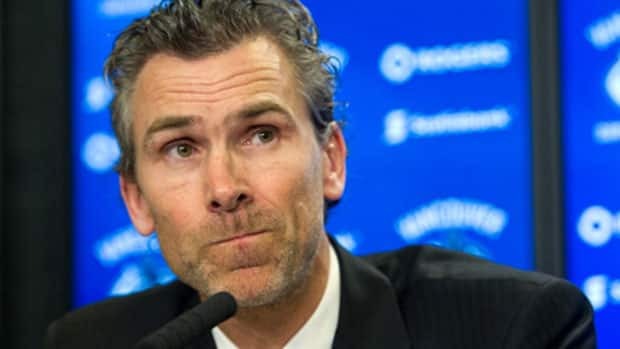 As the new president of hockey operations for the Vancouver Canucks, Trevor Linden already is busy looking into candidates he should consider as the team's next general manager. The press conference to introduce former Vancouver Canucks captain Trevor Linden as the club's new president of hockey operations was held on Wednesday, but the move immediately resulted in plenty of Monday-morning quarterbacking. The pundits questioned whether Linden was too inexperienced? Would his six-year absence from the game since he retired as a player hinder his effectiveness? Would the popular Linden be able to handle the vitriol and scrutiny that comes with his new position in a passionate market like Vancouver? Was this simply a public relations move to appease the frantic fan base? The easy answer is time will tell. The short answer is the Canucks need Linden's thoughtfulness and his street sense that got him through tough times as the NHLPA president, and later as a co-owner of his chain of fitness clubs in the Vancouver area. His first two major decisions will be to hire a general manager, who will work in concert with Linden and other members of the Canucks' front office and ownership. His second decision will be what to do with head coach John Tortorella, who is three games away from the finish line of the first year in his five-year contract. Linden, who will turn 44 on Friday, was impressive in his introductory press conference. Those who know Linden believe him when he says he will thoroughly evaluate candidates for the general manager portfolio, as well as what to do with the current coaching staff, and will follow through in a meticulous manner. Linden will lean on for advice from people like his former Canucks head coach and general manager, Pat Quinn, current Vancouver director of player personnel, Stan Smyl, as well as his former agent Don Meehan. There are others, too. Former teammates, former coaches, GMs, players and people he got to know from his time with the NHLPA, time on the competition and licensing committees. Linden already has admitted that he has reached out to a couple of former opponents. When he was in deliberations as to whether the time was right for him to return to hockey and accept the offer from the Aquilini family to become the Canucks' president of hockey operations, he talked to Steve Yzerman and Cam Neely. Nealy won a Stanley Cup with the Bruins as team president. Yzerman, the Lightning's vice president and general manager, has steered Canada to back-to-back Olympic gold medals, reached the East conference final in 2011, and will make the playoffs again this season. You can be sure that a big factor in his evaluation of his head coach will be what the players have to say in their exit interviews next week about the volatile Tortorella. Don't forget there are still a half-dozen Canucks around from Linden's last season in Daniel and Henrik Sedin, Kevin Bieksa, Ryan Kesler, Alex Burrows and Alex Edler. Linden remarked on Wednesday that he hoped to have a new general manager in place before the NHL draft in Philadelphia in late June, but ideally in early June. This will be a difficult process because there will be plenty of competition for the same people in spots like Calgary and other teams that will make changes in the upcoming weeks and months. The other reason is availability. If you're in charge of the Bruins would you allow Jim Benning to walk weeks before such an important time as the draft, in which you're not only restocking your organization with young talent, but many important trades can occur? So who should be on Linden's list to become his GM? Jim Benning - A former Canucks teammate of Linden's, Benning was Buffalo's director of scouting and has been with the Bruins for the past eight seasons, the last seven years as Boston's assistant general manager. Jason Botterill - The former three-time Canadian national junior team forward and University of Michigan standout is in his fifth season as Pittsburgh's assistant GM. He won a Stanley Cup with the 2008-09 Penguins in the hockey operations department. Julien Brisebois - He has been Tampa Bay's assistant GM for the past four years and before he joined the Lightning he worked eight years in Montreal. He was the GM of the Lightning's AHL affiliate in Norfolk that won the 2011-12 Calder Cup. Paul Fenton - The former Winnipeg Jets forward has long been considered GM material. He's been with Nashville for 16 years, eight as director of player personnel and the last eight as assistant GM. Laurence Gilman - He was brought in as the Canucks vice president of hockey operations and assistant GM by the outgoing Mike Gillis. A good contract person and talent evaluator, who has been in the league as a team executive for nearly two decades. Lorne Henning - The four-time Stanley Cup winner as a player and assistant coach with the New York Islanders, also has been a head coach and pro scout. He was elevated to Canucks' vice resident of player personnel by Gillis in September 2008. Ron Hextall - Currently the assistant GM with Philadelphia, he held the same position in Los Angeles when the Kings won the Stanley Cup two years ago. If Toronto cleans house, he may be a candidate there, too. Rick Olczyk - The younger brother of former NHLer Eddie Olczyk worked with Linden as a labour lawyer with the NHLPA and has been the Edmonton Oilers assistant GM/director of hockey operation for the past seven seasons. Brendan Shanahan - There is little doubt the NHL's current chief justice wants to become a GM. He came close to taking a role with the Calgary Flames last summer, but bowed out at the last moment. Linden and Shanahan played together for Canada at the 1996 World Cup and 1998 Olympics. He also could be in the running for a position with the Maple Leafs. Brad Treliving - He is finishing his seventh season as assistant GM in Phoenix. He has worked alongside current Canucks executive Gilman. He's also from Penticton, B.C.